YOKOHAMA, Japan (June 3, 2011) - Nissan demonstrated the NISSAN LEAF™ NISMO RC at LE MANS VERS LE FUTUR, a support event for the 79th running of the 24 Hours of Le Mans, which took place June 11-12. The powertrain is an 100% zero emission advanced Lithium-ion battery design, just like that found on the world's first affordable mass market electric vehicle. And despite its lack of rear doors, rear seat, trunk, audio system, navigation, carpeting and other amenities, there is a discernable family resemblance. 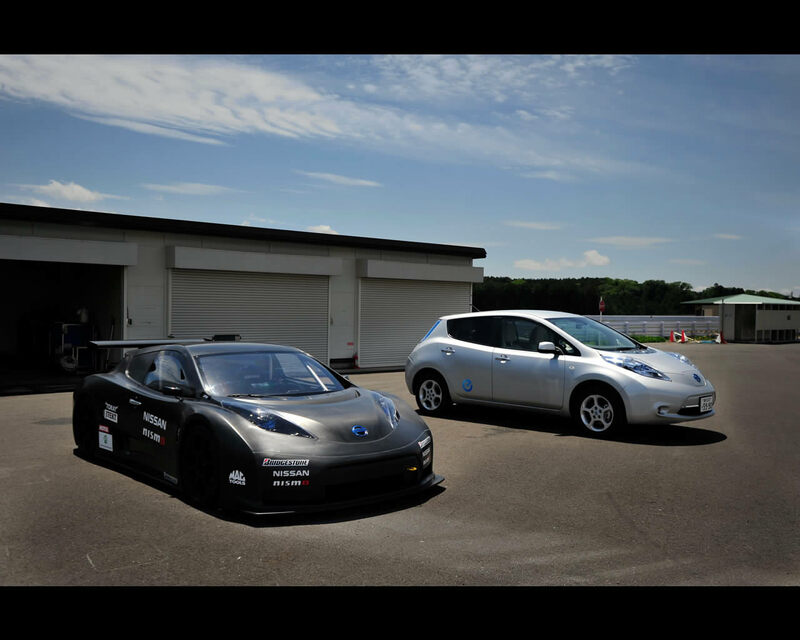 But that is where the similarities between the production Nissan LEAF and the Nissan LEAF NISMO RC end. As indicted by the "RC" - for Racing Competition - this new electric vehicle, which made its world debut at the 2011 New York International Auto Show on April 20th, is purpose-built to bring new meaning to the term "Racing Green." 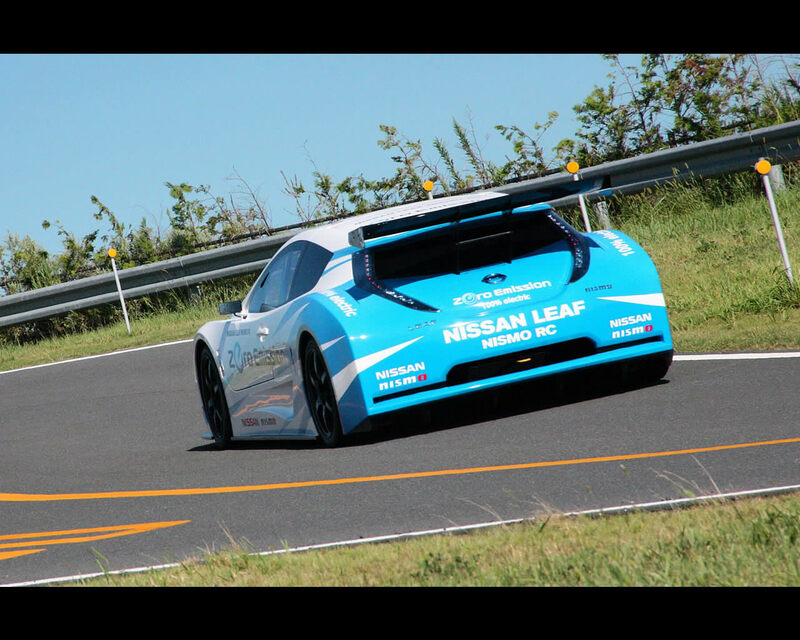 "Combining the talents of NISMO, Nissan's world renowned motorsports group, and engineers behind some of the company's Super GT and FIA GT1 race teams, the Nissan LEAF NISMO RC will serve as a rolling laboratory for the accelerated development of EV and aerodynamic systems, as well as a platform for the development of new green motorsports series," said Carlos Tavares, chairman, Nissan Americas, speaking at the New York International Auto Show. 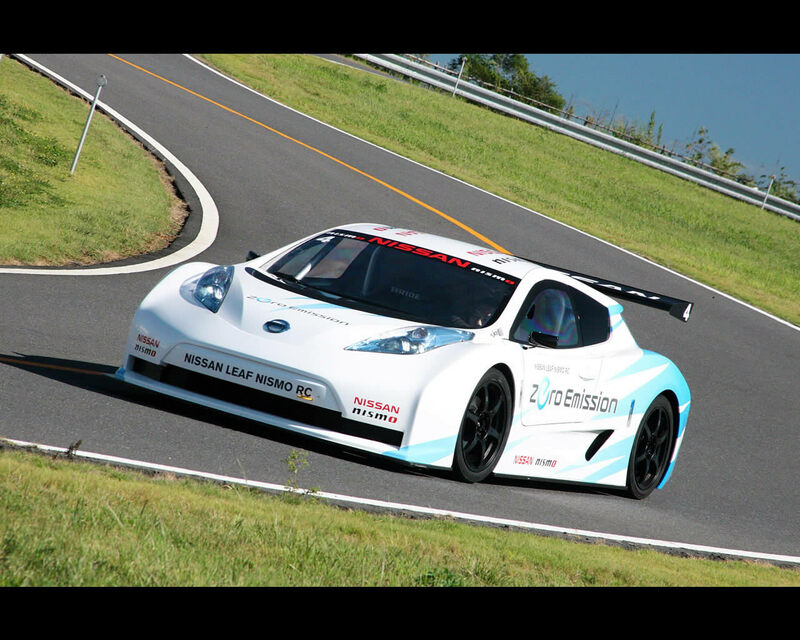 The layout of the NISMO RC is also markedly different from the production sedan, offering a mid-ship location for the battery pack, electric motor and inverter - with drive to the rear wheels versus the production Nissan LEAF's front-wheel drive. 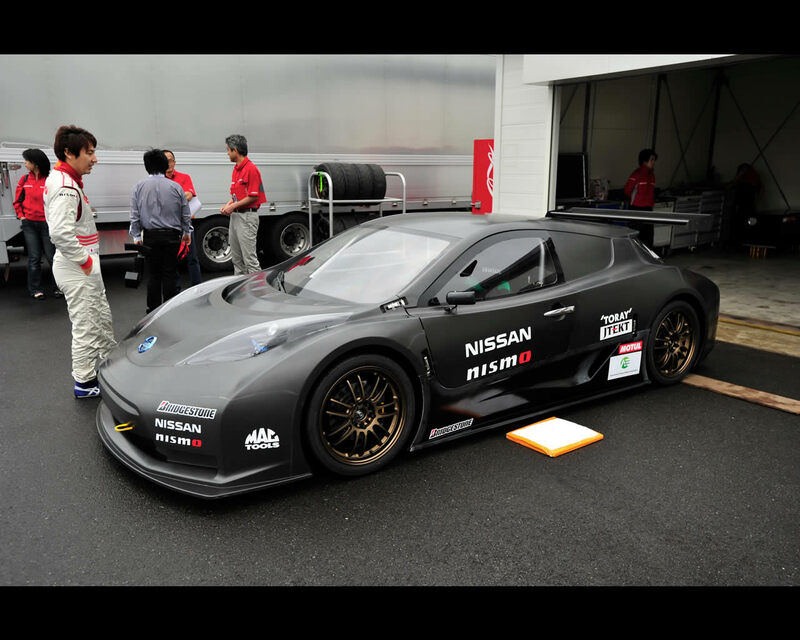 The NISMO RC also utilizes a double-wishbone suspension design front and rear and driver-adjustable brake balance. It rides on 18-inch 6-spoke wheels and P225/40R18 Bridgestone racing tires. 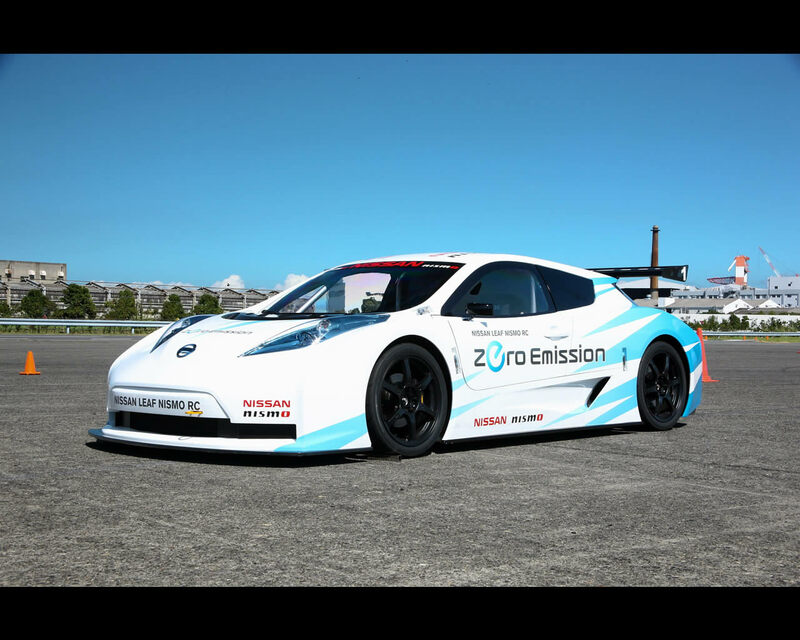 "There's a perception among some people that electric vehicles fall on the dull side of the automotive enthusiasm scale - which is certainly not the case with either the production Nissan LEAF or this electrifying Nissan LEAF NISMO RC," added Tavares. 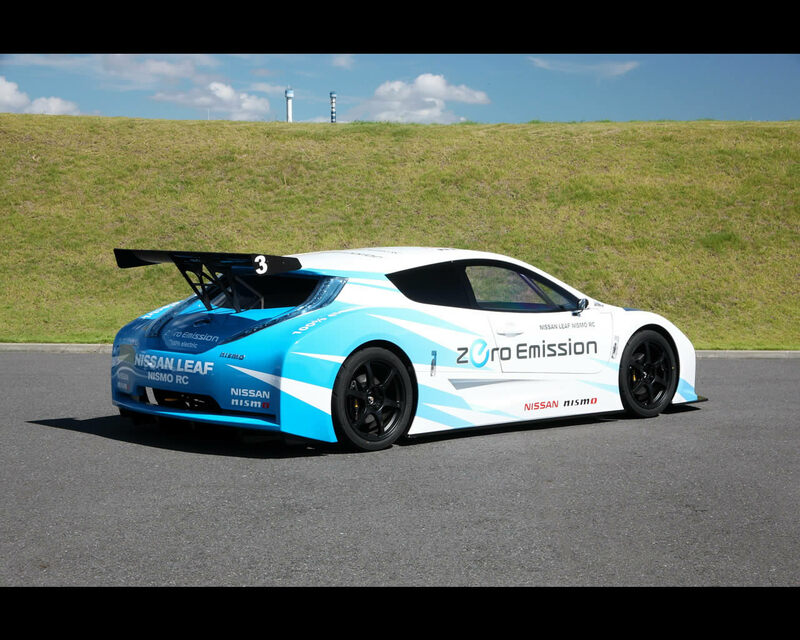 "Nissan LEAF owners are fully embracing this new world of zero emission technology. 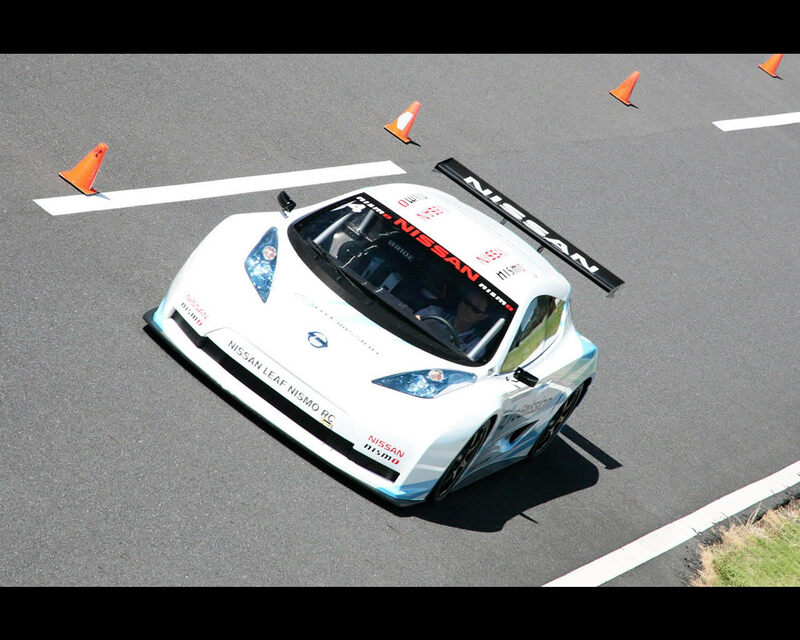 We believe the same potential exists in the motorsports world as well, with Nissan proud to be first on the starting grid."